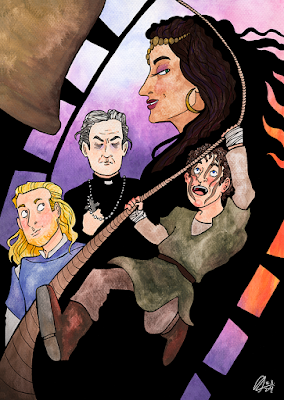 Last week, Fredericia Teater's production of The Hunchback of Notre Dame closed for good. Funny how, even though my personal last time seeing the production was over a month ago, I still felt a jolt of sadness on Saturday. Now it's really over. No more behind-the-scenes Instagram photos from the cast, no more fans sharing their feelings about yesterday's performance on Facebook. No more knowing that even though I can't be there in Copenhagen to see the night's show, someone else is, and they're having the time of their life. This won't be a long post, since I've already written a review, another review and an interview. But here are some finishing thoughts. I think this adventure, seeing a long-time favourite musical live for the first time and all that followed, deserves that. "Just after the show, I met with the director Thomas Agerholm backstage. We were literally just standing there and shaking our heads to each other for ten seconds, thinking, 'I don’t know what just happened'." I think it wasn't just the cast and the director who felt that way – I believe every single person in the theatre that night shared the feeling. I remember how, walking back to our hotel, me and my friend were also shaking our heads. What just happened, indeed. I've tried, but I still cannot find the exact right words to convey what I felt there. Those two and a half hours, nothing outside that theatre mattered. I'm happy I got to take two friends with me to see the Copenhagen performances this summer. I know extreme enthusiasm, like mine, is usually off-putting rather than enticing. But I'm glad they agreed to come with me, and I'm glad they enjoyed themselves, too. It's good to have people with whom you can share something like this, to know that you're not the only one you know who remembers the experience. It has been a long time since a musical has really, really touched me, not only my mind but also my soul. I've seen hundreds of theatrical performances, but honestly, I can only think of two other occasions when a production has hit me this hard. I know this is going to be one of those where, years from now, I can watch a fantastic production of the very same musical and think, yes, this is very nice – but still, it is not like that production was. I'll keep trying to find something that'd make me feel like this production did. This is why I'm a theatre fan, to have experiences like this. Even if – or maybe just because – theatre is so fleeting and once the experience is over, you'll never have it back. Here are two videos from the curtain call of the last performance. I couldn't be there, but I know how everybody in the audience felt like. I know that excitement, that rush of adrenaline. I'm glad I got to be there earlier this summer, and I'm glad everyone cheering on those videos got to be there, too. I'm glad we got to share this. P.S. I'd be lying if I didn't mention that having my piece about Fredericia Teater's Hunchback published in Finland's biggest subscription newspaper – a first for me – wasn't the highlight of my summer. How about that!! Spending a weekend in Copenhagen in July, I didn't only watch a Disney musical – I also got to see some surprise Shakespeare. Denmark is my family's vacation destination of choice, so I've been to the country closer to 30 times. This time, though, I was traveling with a friend who is not as familiar with the country. 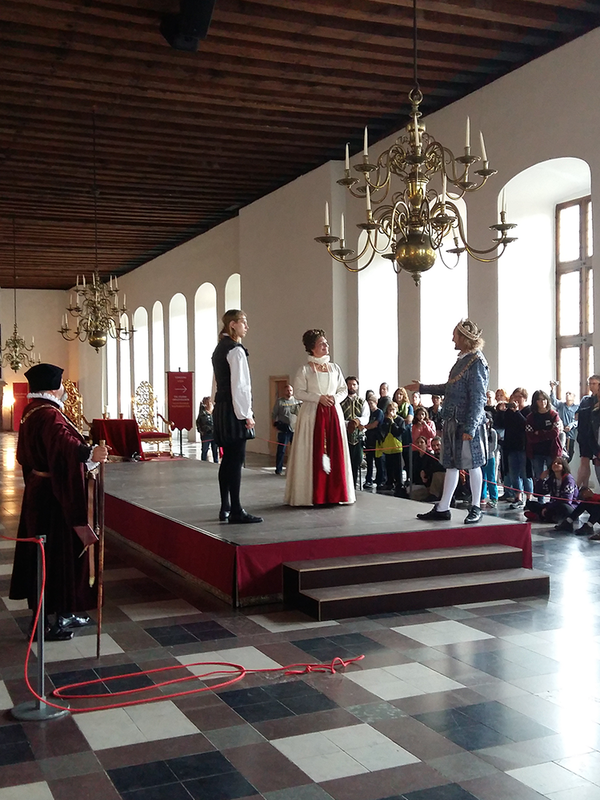 So, as one of the essential things to see during a short stay in the Copenhagen area, we decided to take a little trip outside the capital and check out Helsingør's Kronborg Castle – the castle that's famously depicted as Elsinore in Shakespeare's Hamlet. Some Danish family drama. Photo by me! 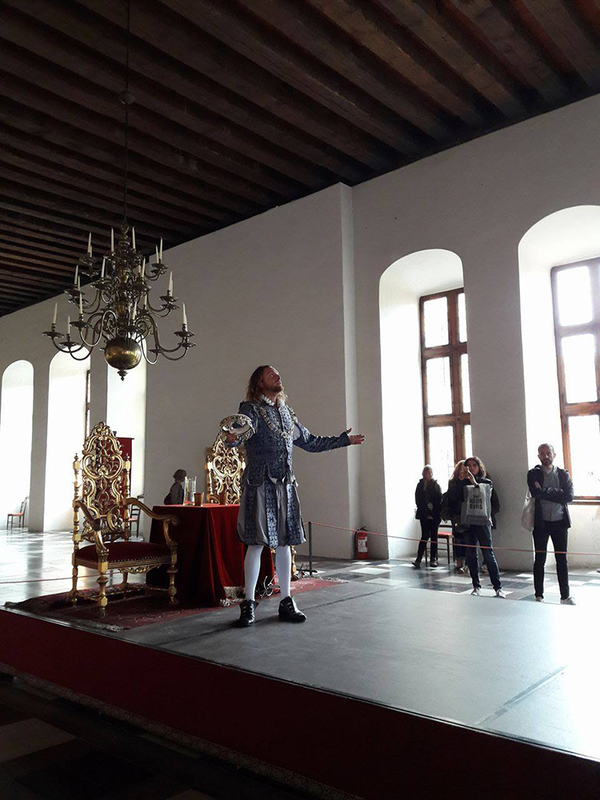 I last visited Kronborg two years ago, and they highlighted the Hamlet connection then, too: I went on a guided tour led by Hamlet's friend Horatio. He took us around the castle, retelling the tragic story of his friend as we went. 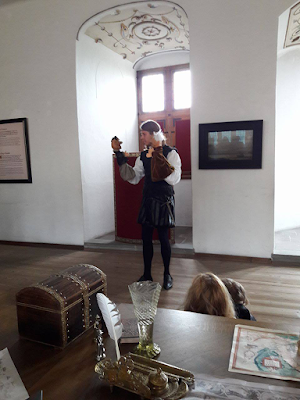 Shakespeare actually never visited Kronborg, the fictional depiction was perhaps entirely made up or possibly inspired by tales told by traveling actors. Nevertheless, it was fun walking around the castle and seeing where each scene might have taken place. This summer, we were treated to something even better. We got to be a part of Hamlet Live. Every day all summer long, you can catch one of two alternating casts acting out various scenes from Hamlet all around Kronborg Castle. The story, with concept and direction by Peter Holst-Beck and Barry McKenna, is stripped down to essentials. We don't get to meet all the characters from the play, but Hamlet (Benjamin Stender / Jacob C. Utzon-Krefeld), King Claudius (Oliver Lavery / Rasmus Emil Mortensen), Queen Gertrude (Birgitte Boesen / Linda Elvira), Ophelia (Alexandra Jespersen / Antonia Pipaluk Stahnke), Polonius (Andrew Jeffers / Barry McKenna / Ian Burns) and Laertes (Jefferson Bond / Kenneth Wright) are all there – and so is the ghost of Hamlet's father, or so I hear. King Claudius, alone. Photo by Laura Haajanen. Entering the castle, we received a little leaflet with hints about where each character likes to hang out. For example, Queen Getrude is often in the queen's chamber, and the ghost might show up in the dark casemates. If you're not satisfied with such vague instructions, there's also a blackboard with a list of upcoming scenes near the castle entrance, complete with exact spots and performance times. The show goes on for the whole day, from 10 am to 17 pm, though I believe they play each scene twice during the day. The play is performed in contemporary English, so it's easier for tourists from all around the world to understand than Shakespeare's language would be. Its tone is rather lighthearted and tongue-in-cheek. I think the show features just the right amount of humor. You have serious scenes with thoughts of guilt and murder, but it's all presented in a light enough manner that it's easy to jump in whenever you stumble across a scene. The audience has a part to play, too. 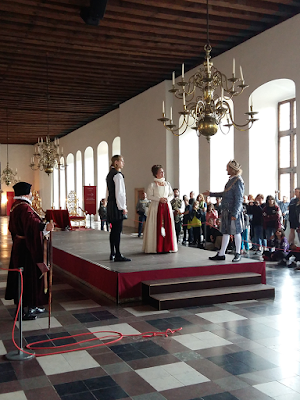 We are members of the court, or maybe visitors to the castle from foreign courts, and we get to greet the new king of Denmark and take part in Hamlet's ploy by booing during the right parts of his play-within-a-play. Sometimes, the characters even have a little chat with some of us. Out of the bits we saw, my favourite scene was the play-within-a-play Hamlet uses to make sure his uncle Claudius feels tormented by guilt. This version reimagines it as a hand puppet show performed by Hamlet himself. It's very silly, very tongue-in-cheek – and the best thing is, it still works! Watching Hamlet's completely ridiculous one-man performance, Claudius starts feeling riddled with guilt, and retires to the grand ballroom to think on his sins. Preparing for the puppet show. Photo by Laura Haajanen. The play is meant for people of all ages, and indeed, us grown-ups weren't the only ones interested. It was the cutest thing when, after Hamlet and Ophelia had had a fight with rings and old love letters flying around and Hamlet storming away, a couple of children picked up the ring and the torn letters and gave them back to Ophelia. Ah, my heart! The kids seemed pretty enamored with Ophelia in general. And it's no wonder. She wears a beautiful gown and she lives in a castle – she's practically a fairytale princess. Actually, the audience interaction was fun and well-done all the way through, and this is coming from someone who absolutely despises audience interaction if it's done in a traditional theatre setting. Here, with lights on and the audience and the characters mingling in the same rooms, it felt very natural when the characters stopped to chat with audience members. My friend heard an especially funny exchange when Polonius introduced his daughter Ophelia to one of us tourists. OPHELIA: And where are you from? Ten audience interaction points to you, clever fellow tourist! I wish I was as quick-witted as that person, but I'm afraid that's not my forte. When Polonius, a proper gentleman, bowed to me when we were leaving, I just ended up giving him a dumbfounded look. Sorry about that! Next time, I shall practice my curtsy in advance. The lovely Ophelia. Photo by Laura Haajanen. This was a wonderful experience. The entrance tickets to the castle are rather expensive, but with something like this included in the price, you really feel you're getting your money's worth. Had we had more time, it would have been fun arriving early and trying to see all the scenes. Hamlet Live runs until August 31st. If you're anywhere near Copenhagen this month, I warmly recommend it. 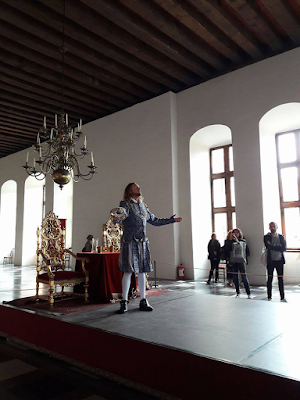 Read more about Hamlet Live on Kronborg Castle's website. P.S. My favourite character was King Claudius. He was so deliciously, hilariously villainous. The best I can describe him is Scar from The Lion King come to life – fittingly enough, remembering that the Shakespeare character was the inspiration for the Disney villain! 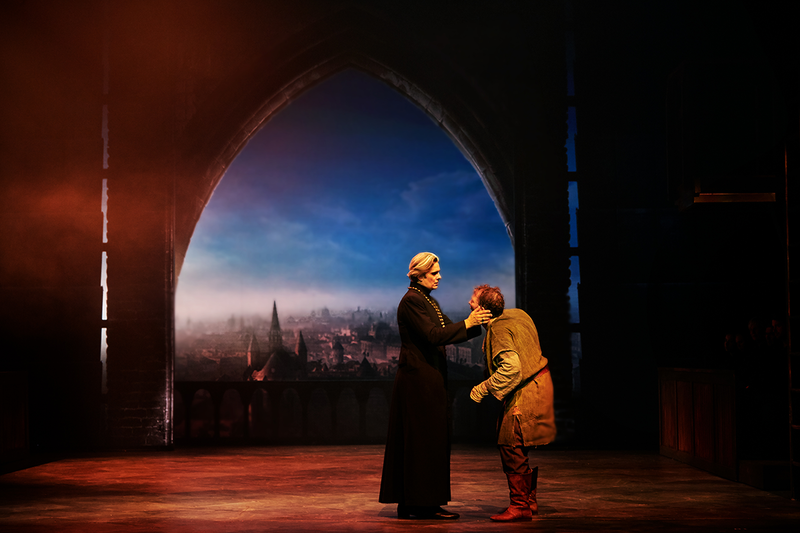 If you've been reading my blog lately, you've certainly noticed how I feel about Fredericia Teater's Danish production of The Hunchback of Notre Dame. From an audience member's point of view, it's an experience like nothing I've ever seen before – but, I started wondering, how do the people who create the magic feel about it? What is the deal with this Fredericia Teater, really? I decided to find out. During my last trip to Copenhagen, I got to take a sneak peek behind the scenes and meet some really interesting people. Here's what they told me. This article was originally published in the newspaper Helsingin Sanomat (2.8.2017). Finnish friends: you can read this text in Finnish right here! We're behind the scenes in The Royal Danish Theatre in Copenhagen, and it’s nearing 7.30 pm. Soon, it’s showtime for The Hunchback of Notre Dame the musical. Actor Lars Mølsted, who portrays the titular role, knows what to expect. To put it mildly, Danish theatregoers have received the small town theatre’s production with extraordinary enthusiasm. During the last six year, Fredericia Teater – based in the town of Fredericia (population 40 000) in Jutland peninsula, a three-and-a-half hour drive away from Copenhagen – has both won the hearts of Danish theatre fans and gathered international attention. It’s all thanks to the theatre’s successful musical productions. The theatre, since 2011 managed by creative producer Søren Møller, has chosen a very unique path. It only puts on musicals that have never been seen in Denmark before, both brand-new shows and internationally successful pieces. It’s a one-of-a-kind approach never before seen in any Nordic theatre. Actor Lars Mølsted has been working in Fredericia Teater on an open-ended contract since 2011. He points out that the theatre has had to, and sometimes still has to, fight against preconceptions about both its location and its repertoire. The paying audience, however, doesn’t have too many hang-ups about all that. Despite getting a smaller subsidy from the government than theatres in Denmark’s leading cities Odense, Aarhus and Aalborg, when measured by tickets sold, Fredericia Teater has become Denmark’s biggest theatre outside Copenhagen. 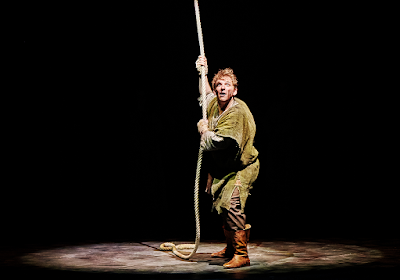 Even compared to Fredericia Teater’s recent success, though, The Hunchback of Notre Dame is something special. The musical, composed by Alan Menken with lyrics by Stephen Schwartz, is based on the 1831 novel by Victor Hugo and songs from Disney’s 1996 animated movie. It’s way less family-friendly than the movie and instead brings the story closer to Hugo’s original tragic tale. The musical first premiered in Germany in 1999 and then in the US in 2014, revamped with some new music and a new script by Peter Parnell. The updated version had its European premiere in Fredericia Teater in October 2016. The feedback has been exhilarating. 25 different media outlets have given the musical 6-star ratings – the Danish equivalent of five stars. Counting the stars, it’s the highest-rated theatrical performance in Danish theatre history. There have been over 120 000 tickets sold. In June, the musical received three Reumert awards, the Danish counterpart of Broadway’s Tony Awards. 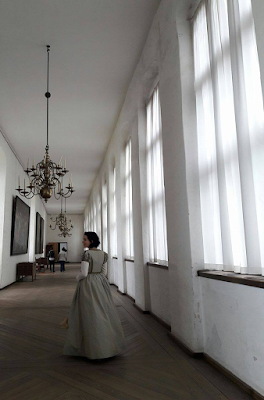 Also in June, the production moved and reopened in The Royal Danish Theatre’s premises in Copenhagen. Most of Danish theatres close their doors during the summer and theatre fans enjoy light summer revues, oftentimes performed outdoors, instead. Fredericia Teater has proven that there’s also room for a summer musical. Over a half of the tickets sold have been to the Copenhagen performances. After the Fredericia run sold out, many people bought tickets to the Copenhagen shows and have now travelled to the capital just so they can see the musical. Mølsted, who plays the eponymous hunchback Quasimodo, has performed in over 20 musical productions in Fredericia Teater. Even so, The Hunchback is a unique experience for him. Mølsted says the opening night felt like a rock concert. The audience of 850 people let their feelings show. The actors get plenty of fan mail on Facebook, but Mølsted says the most incredible and humbling thing is the audience’s reaction each night. The most unbelievable moment is when he takes his bow at the very end. The Hunchback of Notre Dame’s finishes its run in late August. Behind the scenes, Fredericia Teater is preparing for the upcoming season. In the autumn, the theatre will put on an original musical about Danish musicians Tommy and Rasmus Seebach. The spring of 2018, however, poses an even bigger challenge. In April, Fredericia Teater will stage the world premiere of The Prince of Egypt, a musical based on Dreamwork’s 1998 animated movie. Dreamworks Theatricals chose Fredericia Teater to produce the musical shortly after The Hunchback of Notre Dame’s opening. ”Composer-lyricist Stephen Schwartz had seen the level of the production, and therefore trusted us,” Fredericia Teater’s associate producer Rob Hartmann explains. The Prince of Egypt will be produced in collaboration with the California-based theatre TheatreWorks Silicon Valley. The European premiere helps the musical’s creative team to ensure the show’s international appeal. ”Everything right now leads up to the premiere of The Prince of Egypt. The pressure is huge, and April seems very soon,” Hartmann confesses. Before then, though, the bells of Notre Dame will still ring. Actor Lars Mølsted makes it clear that no matter what, you have to keep your feet on the ground. Each round of thunderous applause is followed by a new performance with a new audience.